Before I conducted the research for this article, I thought that finding a job for veterans would not be a difficult thing to do since they have all that experience under their belts. However, when I was finished researching, I found that making the transition into the civilian workforce is a big deal for them because they often feel daunted and even scared. Also, I discovered that veterans are perfect candidates for many jobs that require knowledge of teamwork, an ability to work under pressure, and discipline. Making this transition into civilian workforce should not be a scary thing because veterans can make big money using their experience! In this article, I will present the findings of my research and identify top ten most profitable freelance jobs for veterans. Many former military members pick up language skills in the countries where they were stationed. If they learned foreign languages well enough, they can become freelance translators or interpreters after the service is through. Many people have posted their resumes as translators and participated in different freelance projects that involve languages they speak, such as written or verbal translations. A big advantage here is that veterans had the opportunity to experience the culture of the foreign country, so they can speak with proper tone and even with a dialect! The growth of the web development field provides a lot of freelance projects for everyone interested. Veterans are also well suited for designing websites if they are interested in the technology. Similar to freelance writers, web designers do not need an advanced degree (a couple of months of web design training should be enough) and a lot of resources to begin. Choosing web developer job for veterans is a good idea because the industry is booming! It currently employs more than 250,000 people, says the Bureau of Labor Statistics, and this number is supposed to increase by at least 20,000 by 2020. A perfect time to enter the field, right? This one is pretty simple. If you have an advanced expertise in something, you can teach it to others. All you need to have is lesson plans and a computer with an Internet connection. The expertise that can be taught can be various, from high school math to Mandarin. Another profitable career from the area of web development. You will need to learn some good training for it, though. However, after several months of learning, you will enter a fascinating area that always needs new talent and fresh ideas. Typical job descriptions include development and testing of mobile apps for various platforms, such as iOS and Android. This job could be a perfect for you in case you have a passion for apps with awesome functions. This freelance job is also relatively simple and requires extensive Internet research of topics provided by the employer. Many web researchers work from home and earn a pretty decent salary. Another plus is that popular job boards like Indeed.com have a long list of offers for anyone interested in getting involved with this job. If you have an interest in photography, then you should definitely become a freelance photographer. Most of these professionals report very high levels of job satisfaction because they have lots of fun during the photo sessions! For you as a former military member, this can be an interesting change of pace and exciting opportunity to communicate and enjoy the company of others. If you’re interested, here is the job description, tasks, career paths, job listings, and other useful information from Payscale. This occupation is not as popular as the ones mentioned above but it still pays very well. It could be a good option for you if you feel the need for communication (you are going to do a lot of talking, that’s for sure). According to Payscale, people who are engaged in this field don’t have a lot of years of experience, so veterans with limited or no experience will be gladly accepted. This occupation also offers many different career paths, such as office manager and executive secretary. Another good career option for those who love design because these professionals use illustrations, fonts, colors, and layout to visually communicate a message or a product. 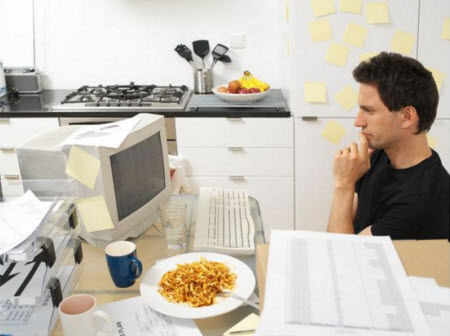 There are many freelance opportunities available on the Internet for those who prefer to work from home as independent contractors on a per-project basis. Check out this logo design guide to get the idea of what needs to be done here. Another area great for veterans is freelance writing. It requires a computer, an Internet connection, and willingness to work. Although some writing education should be obtained, it does not require a lot of time to start working. Veterans can find many writing projects online writing blog posts, how-to articles, and product descriptions. Also, if you are good at writing college papers, you may consider professional essay writing service as a variant. There are many freelance writing jobs available on the Internet, so don’t hesitate to apply if you are a former military member. The responsibilities of these professionals include facilitation of social media tasks, communication with vendors and customers, and management of social media profiles. This job can easily be done from home because only a computer with an Internet connection is required. Feel free to browse through all these career opportunities and make sure that your future occupation perfectly fits your character and passion. There are many opportunities for veterans out there, so get involved!